Let your kids rediscover the thrill of outdoor play while building confidence, balance and problem-solving skills, all in our safe, well-constructed environment. 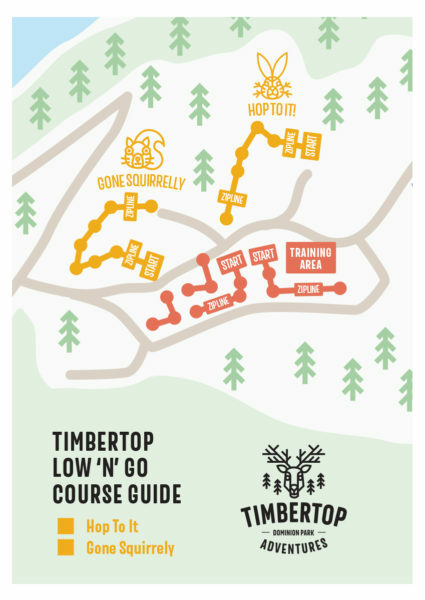 With two different courses, Gone Squirrelly and Hop to It, there are 16 challenges to explore. It’s an exciting way to spend time climbing with little ones. Group discount available: Book 10 or more people on a Low & Go Adventure and automatically receive a 10% price discount. 90 minutes of play, with up to 30 minutes of training. Low & Go courses have been designed specially for younger ages, and their supervisors, or for anyone who likes the adventure, but at a lower height. Please note that we require 2 supervising climbers per every child 5-6 years old. One supervisor must be 18 or older, and the secondary helper must only be 9 or older. We require one parent and one other person 9+ to be on either side of the 5-6 year old to help them clip in and clip out, so that there’s someone to send, and receive the younger climber on each platform, creating a “supervisor sandwich”. 7 year olds can climb alone on Low & Go with one supervising adult (18+) watching from the ground down below for every 2 children aged 7 climbing. 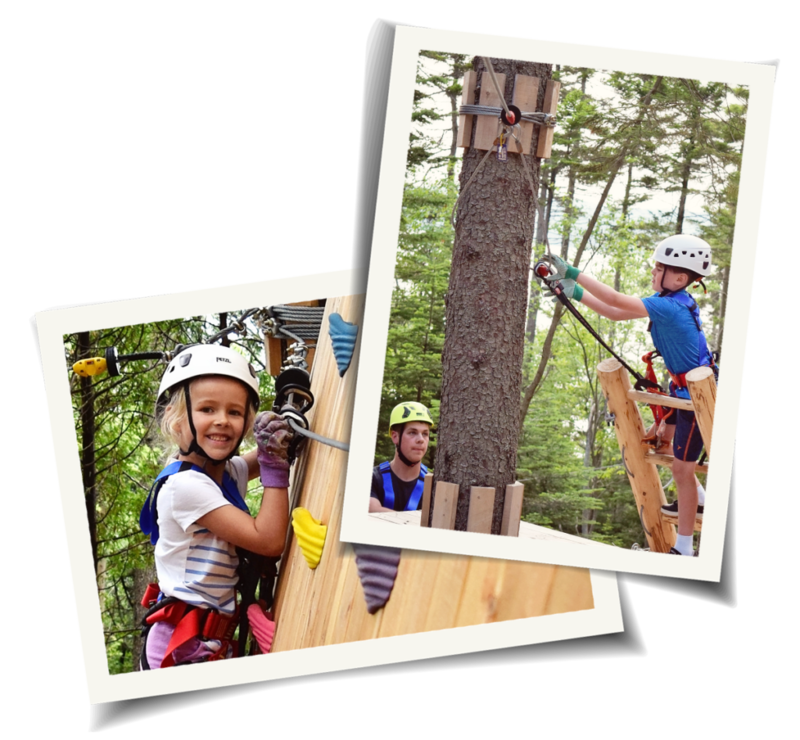 If the older climbers (anyone 8+) wish to continue their adventure and try out the Go Wild courses, they must return to our front office and pay an additional fee for the upgrade. We offer the option to complete it online, or you can fill it out when you get to the park. Note that all participants under 19 must have their waiver signed by a parent or legal guardian. Low & Go courses have been designed specially for younger ages, and their supervisors, or for anyone who likes the adventure, but at a lower height. Please note that we require 2 supervising climbers per every child 5-6 years old. One supervisor must be 18 or older, and the secondary helper must only be 9 or older. We require one parent and one other person 9+ to be on either side of the 5-6 year old to help them clip in and clip out, so that there's someone to send, and receive the younger climber on each platform, creating a ``supervisor sandwich``. 7 year olds can climb alone on Low & Go with one supervising adult (18+) watching from the ground down below for every 2 children aged 7 climbing.